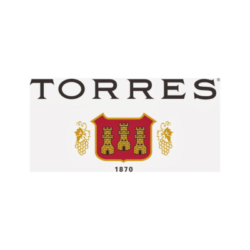 Ever since its origins in 1870, Bodegas Torres has combined tradition and innovation to become a benchmark company in the quality wine and brandies sector. 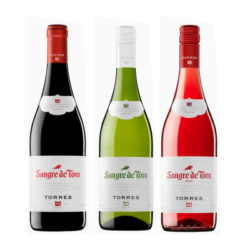 Bodegas Torres has been recognised for the second year in a row as the most admired wine brand in the world by the leading British magazine Drinks International. 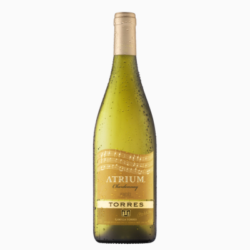 The Latin name of this wine evokes a typical Mediterranean home: a house entrance porch in the style of Roman temples. The name of the grape variety Merlot comes from the Latin word (merulus) for the black-birds that fly over these vines, searching for the sweet taste of the ripe grapes. 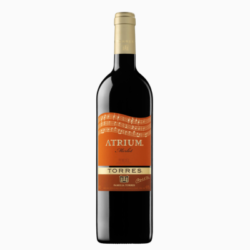 The Latin name of this wine evokes a typical Mediterranean home: a house entrance porch in the style of Roman temples. Miguel Torres travelled the vineyards in search of the best grapes to realize his dream of creating a wine with an inimitable personality. 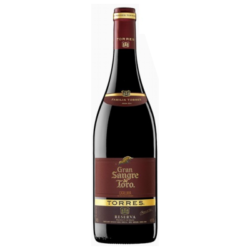 At the end of the 1960’s, Miguel Torres decided to produce a reserve wine that would capture the character of “Sangre de Toro”, a wine with a well-defined identity. The result was “Gran Sangre de Toro”, a wine produced with red garnacha, carifiena and syrah which is ennobled by oak ageing. In this small (29 ha.) vineyard only the most select Cabernet Sauvignon grapes are grown. These are used to make strictly limited quantities of Torres’ most prestigious red wine, now known to connoisseurs all over the world. In the Paris Wine Olympiad, the 1970 vintage triumphed over some of the most famous wines in the world, including Chateau Latour. This success has been repeated on several other occasions, with Gran Coronas Mas La Plana notching up numerous other international awards. 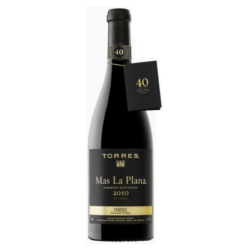 This arose from the innovative drive of Miguel A. Torres, who planted the French variety of Cabernet Sauvignon in the Penedes at the end of the 1960s and early 1970s, when normal practice was to plant local white varieties. 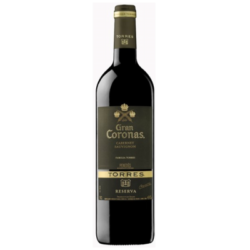 Thanks to this, Gran Coronas has become a benchmark for reserva red wines.